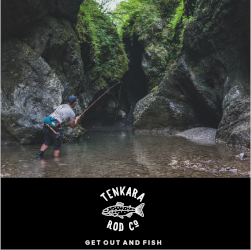 My mad-scientist friend and tenkara partner-in-crime Dennis Vander Houwen has been tucked away in his wood shop again working on some really interesting projects. 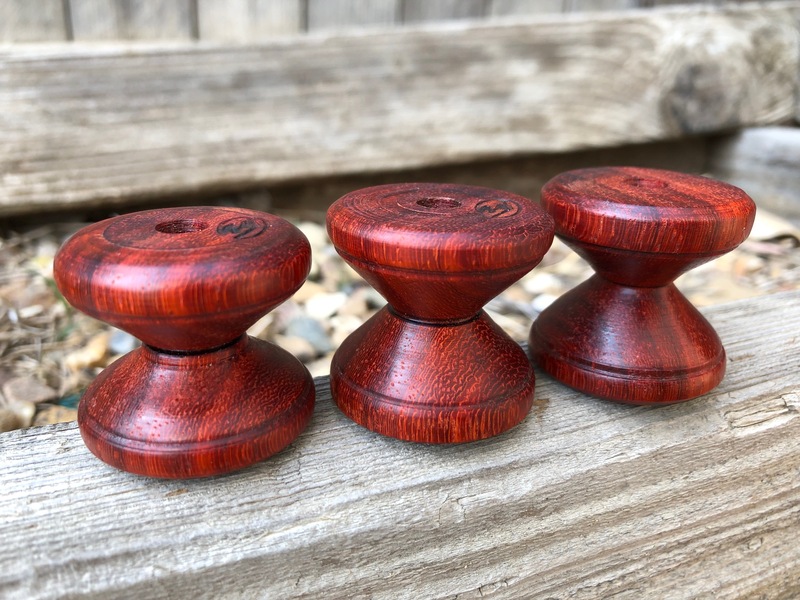 A couple of them aren’t ready to be announced to the world just quite yet (soon) but today when we met up on the stream, he gave me a few samples of one of his latest creations. 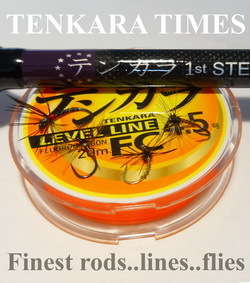 Those of you who like to experiment with unorthodox threads for tenkara flies, you know two things: 1. 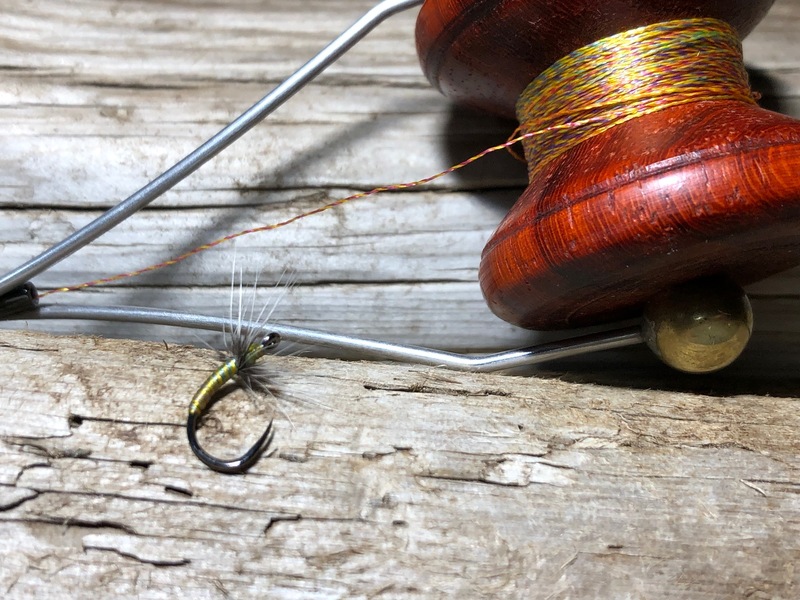 Places like Michael’s and Joanne-Ann Fabrics are goldmines for all sorts of unique sewing and embroidery threads that spark the imagination for what you can incorporate into your fly tying. 2. 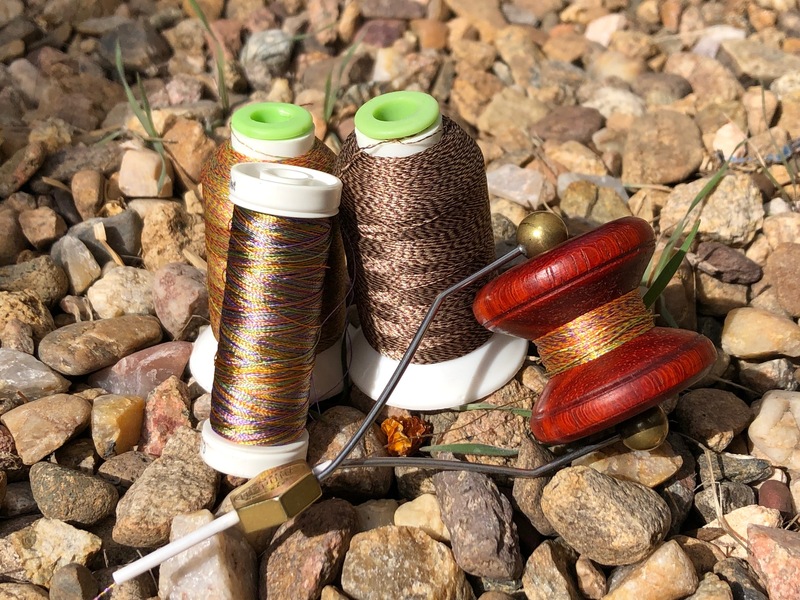 Many of these threads don’t come on spools that fit a standard fly tying bobbin. Sure, you could transfer the threads to an empty, soulless, plastic spool, and that would be totally practical and functional. 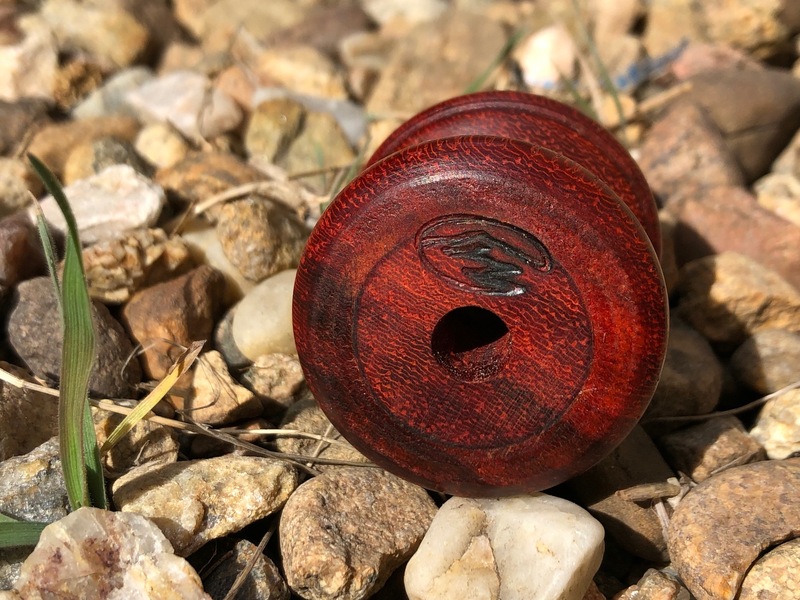 Or, you could re-spool it on a gorgeous, handmade wooden spool to compliment the overall aesthetics of your fly tying. 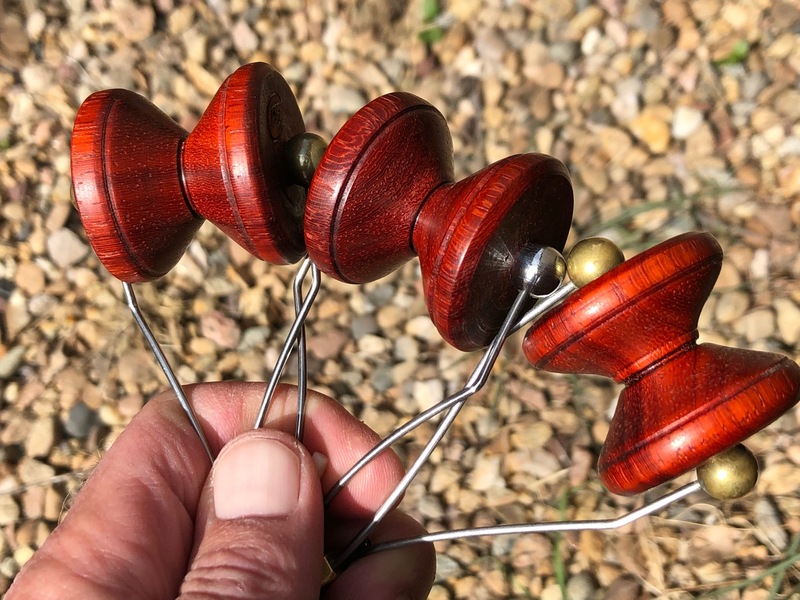 And that’s what Dennis has created: beautiful, heritage-quality wooden bobbin spools you’ll love tying with and will love admiring and displaying on your tying desk. 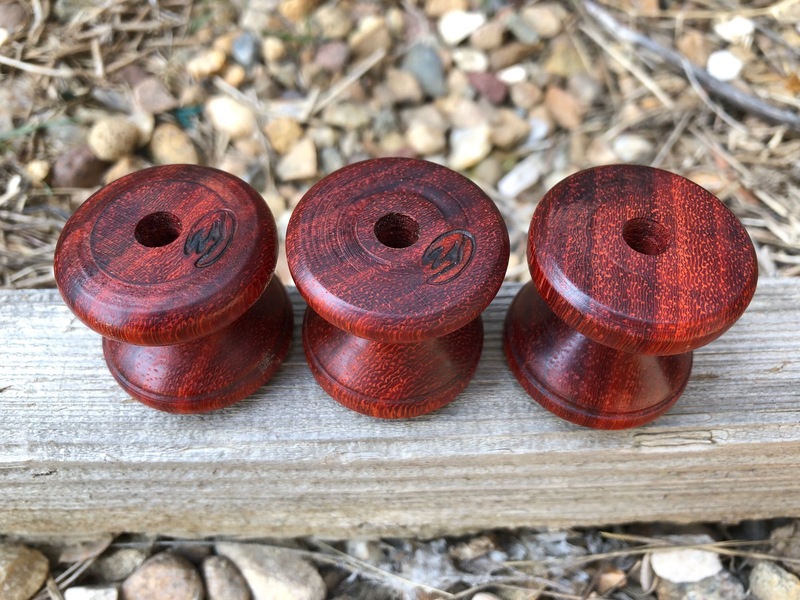 The ones he gave me are turned from Padauk (AKA African Coral wood) and are a warm mahogany color but he also makes them in other woods such as Marble Wood, Teak, Acadia, and Beech. 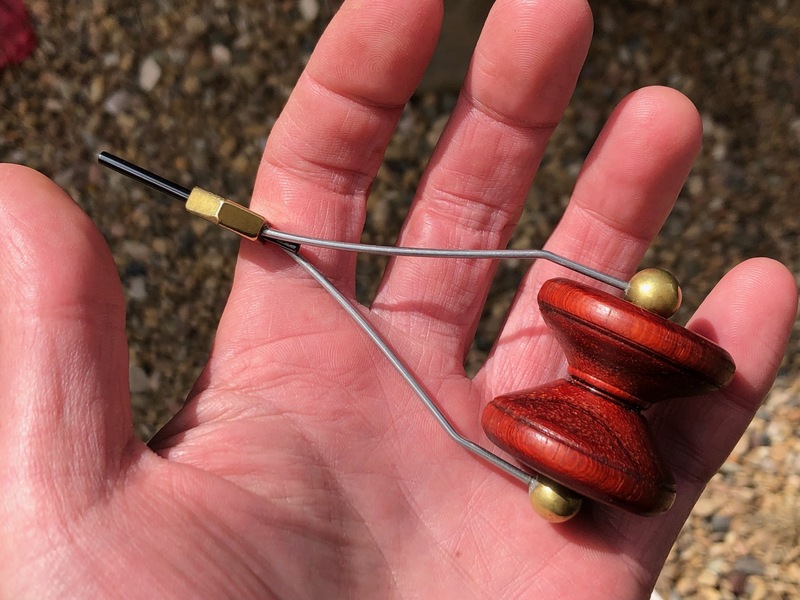 A 1 1/4″ x 1 1/4″, they’re a little larger than a commercial fly tying thread spool with a deep V-cut giving it a large capacity. The sides are stamped with the maker’s mark. 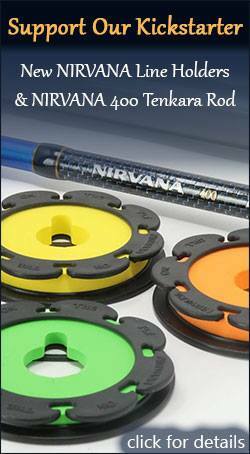 They’re easy to snap on and off the bobbin and the friction the wood creates against the spool bearings of the bobbin have a perfectly smooth tension, with zero startup inertia or hesitation. And the wood just feels organic and ergonomic in the hand. 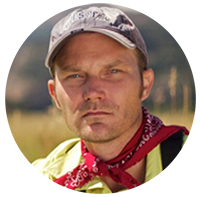 To load them up with your favorite thread, you can just hand wind it like I do (it only takes a couple of minutes. 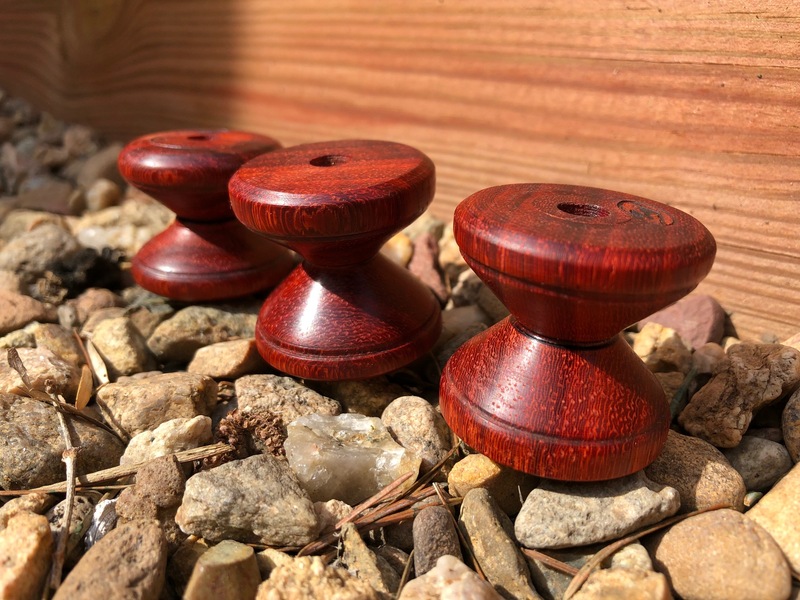 Or, if you have a lot of spools to fill, you can make a simple connection to a cordless drill with a bolt, some washers and a wing nut. 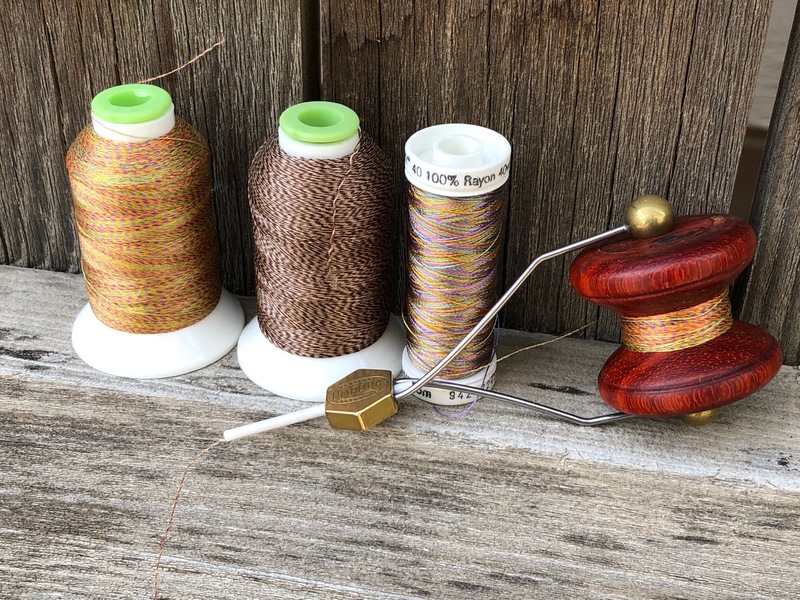 These spools are completely superfluous and extravagant–and that’s exactly why I like them. After all, our craft is an aesthetic and tactile one. 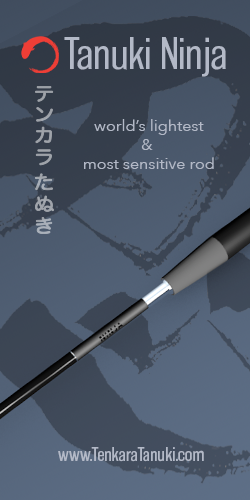 And I feel, ideally, that our tools should match. 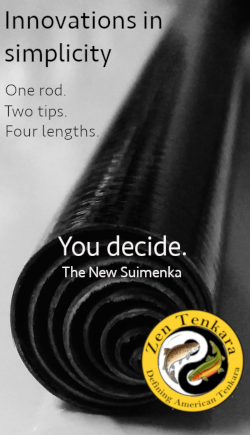 To learn more and to buy your own, visit the Tenkara Path Etsy Store.